Alex Roe, Jessica Rothe, John Benjamin Hickey et al. 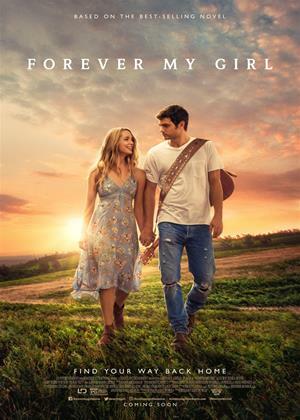 "Forever My Girl" tells the story of country music super-star Liam Page (Alex Roe) who left his bride, Josie (Jessica Rothe), at the altar choosing fame and fortune instead. However, Liam never got over Josie, his one true love, nor did he ever forget his Southern roots in the small community where he was born and raised. When he unexpectedly returns to his hometown for the funeral of his high school best friend, Liam is suddenly faced with the consequences of all that he left behind.